Sometimes, you just have to find someone else to make a decision for you. It’s been over a week since Canadian postal workers were forced back to their jobs by legislation – but Canada Post and its union aren’t negotiating. Instead, they’re waiting for the government to appoint a mediator to resolve the issues that have plagued the Canadian post environment for nearly a month and a half. Back-to-work legislation was officially passed last Monday ending legal strike action, but the Canadian Union of Postal Workers (CUPW) warned officials that their fight is far from over. “In the coming days, we will be calling on our allies and membership for a campaign of mobilizations, demonstrations and non-violent civil disobedience,” Palecek’s statement said. Both Canada Post and the CUPW were warned last week by Employment Minister Patty Hadju that the government would issue back-to-work legislation should they fail to reach an agreement within a few days. True to her word, Bill C-89 was fast-tracked by the Liberal government through the House of Commons, and the Senate vote passed by 53 to 25, with four abstentions. C-89 imposes fines anywhere from $1,000 to $50,000 per day on anyone found in contravention of the act, and up to $100,000 per day against CUPW or Canada post if either are found guilty of violating the terms. Many Canadians depend on Canada Post to ship their small packages and mail, especially with the rapid approach of the holiday season. Despite the legislation, Canada Post has warned Canadians that they can expect delays of both mail and package delivery into the new year as a result of the rotating walkouts employed by CUPW. 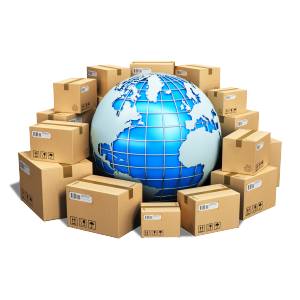 If you’re nervous about potential delayed or missed deliveries this holiday season, there are several domestic and international small package shipping and courier businesses in Canada that remain unaffected by the strikes. If you’re a business owner looking to reduce shipping costs, visit https://www.schooleymitchell.com/services/shipping/ for more information. What does 5G mean for you and your business?